Cheeky and I were heading off to the extreme 44℃ temperatures of sunny Portugal. 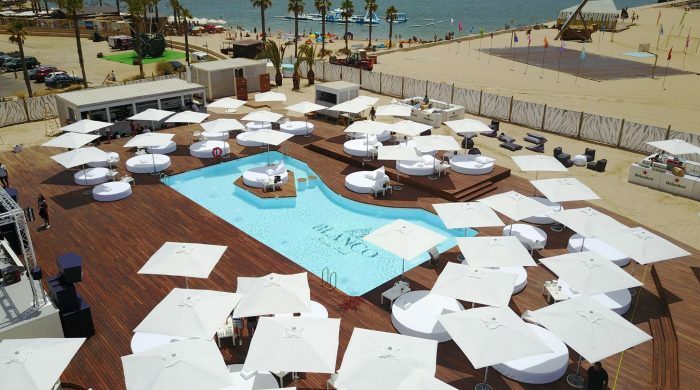 It seems a heat wave had hit Portugal just in time for our trip, but luckily we would be chilling out in the very cool Blanco Beach Club in the Algarve. 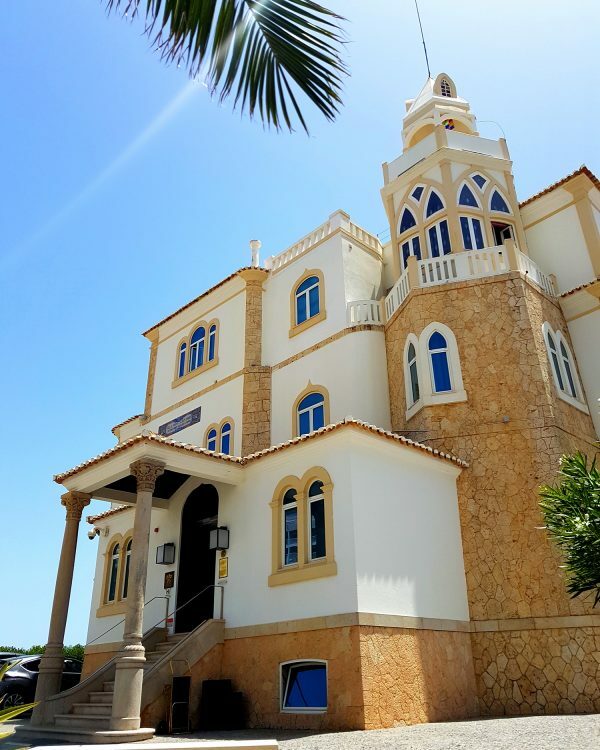 When we stepped off our flight the heat hit us square in the face, but in no time we were stepping into our air conditioned carriages and being whisked off for a late lunch at the Bela Vista Hotel, which is just a short walk to the Beach club. 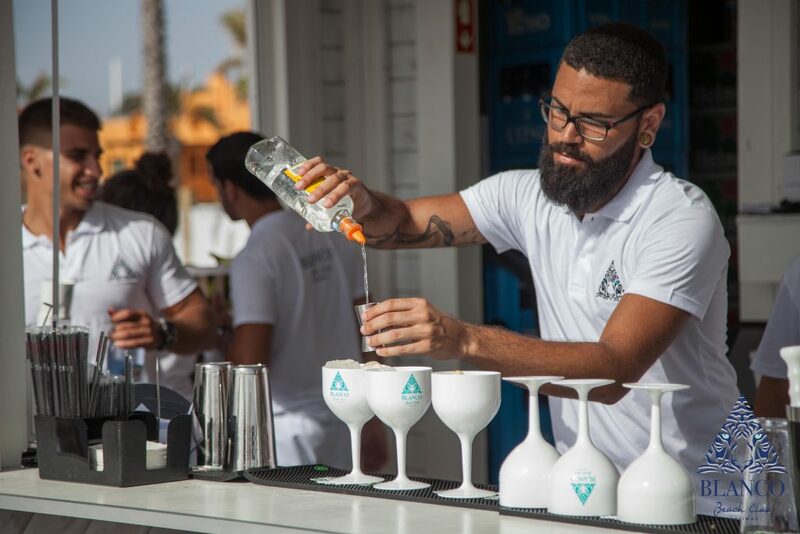 Once we had been slowly wined, champagned, Espresso Martinied and dined on the finest 5-star food it was time to make our way to Blanco Beach Club. 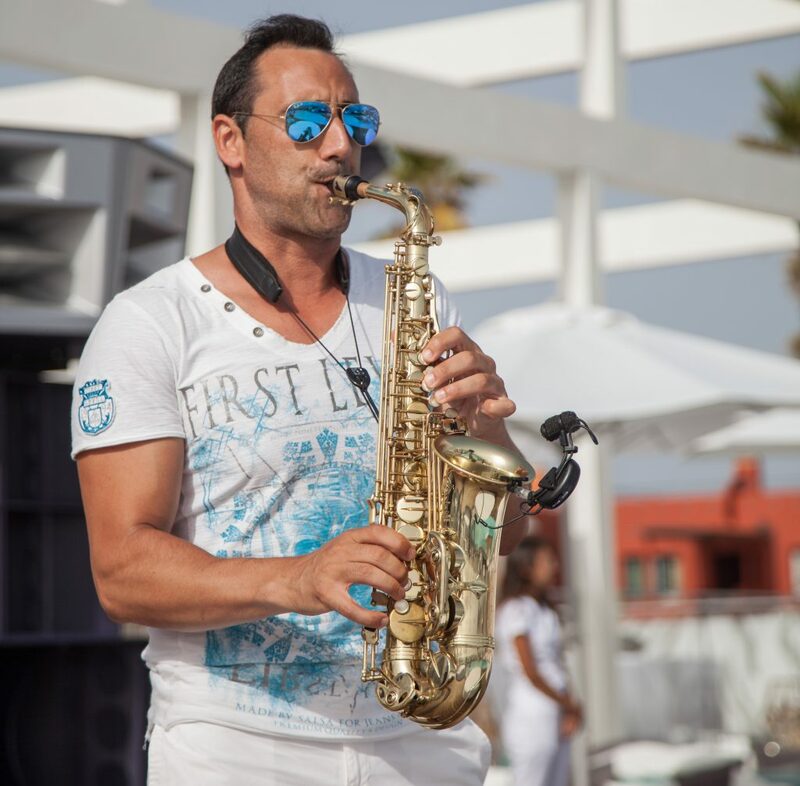 The newly opened Beach Club was the creation of Maximillian White, a Venture Capitalist specialising in hospitality and music and famous for being at the very forefront of global trends in the industry. 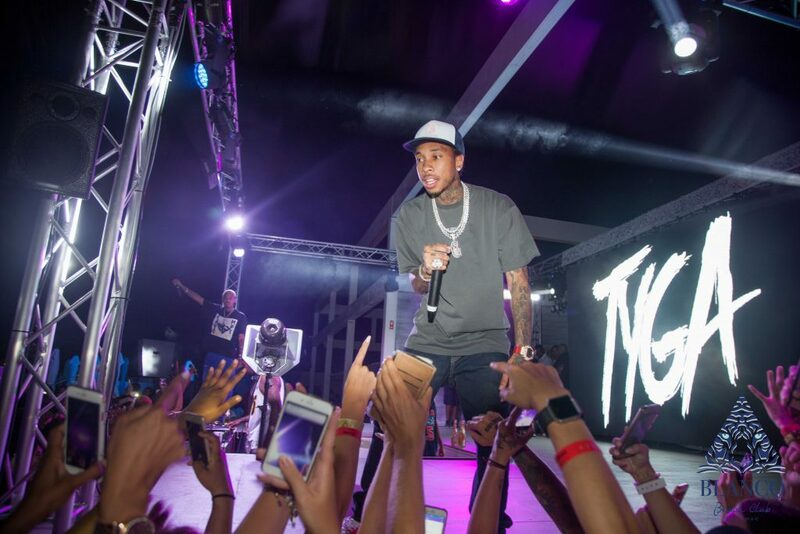 He believes that the Algarve will be the next hotspot for jet setting party goers who want stylish luxury in a beachside club and something a little different from the traditional Algarve clubs and day-clubs. The area that Blanco sits on was once part of the sea, but with clever engineering sand was brought in and a huge beach created so the Portimão area could sustain more tourism. As the name Blanco suggests, White is the theme here; the architecture is modern with clean lines, white washed wood, round white lounging beds, even down to the white champagne flutes one feels the sense of a serene, chilled party vibe. We arrived to cool beats playing on the DJs decks, people lounged on their beds or hanging out in the 20 metre pool all whilst quaffing their poison of choice. Is this how the gods throw parties up above? 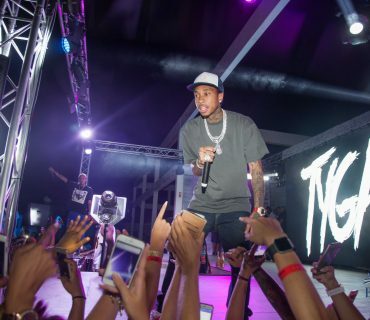 The space is large, so one never feels overcrowded, from the beach beds to the private cabanas or stage front area one never feels overcrowded. Due to the heat, we made a beeline to the pool with G&Ts in hand; what could be more decadent than swanning around in the water, sun blazing, music pumping and washing the finest Gin down one’s gullet? After a few G&Ts it was time to eat more food… As a collaboration with Lisbon’s newest Japanese restaurant, Hikidashi creates fabulous contemporary Japanese dishes, that blow the mind, feed the eyes and tickle the tastebuds. 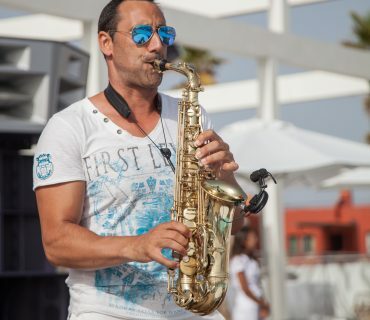 For the next few nights we were to experience several guises of the club, with house music from DJ Richy Ahmed and huge beats from the legend that is Roger Sanchez, even the night when resident DJs played the party rocked. Blanco has spent some time planning their lineup, so look out for some of the biggest names in music making an appearance at Blanco. 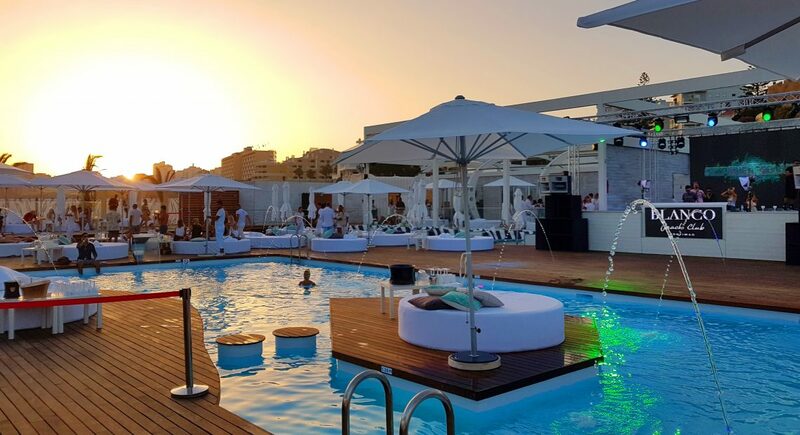 With this type of setting and lineup, Blanco Beach looks to become one of Europe’s hottest beach clubs, one that will give the clubs of Ibiza a run for their money. Of course all of this partying hard and dancing like morons through to the wee early hours of the morning meant that my body and immune system was taking a bit of a hit. However, Portimão has the answer in the shape of the Organic Spa Marina. 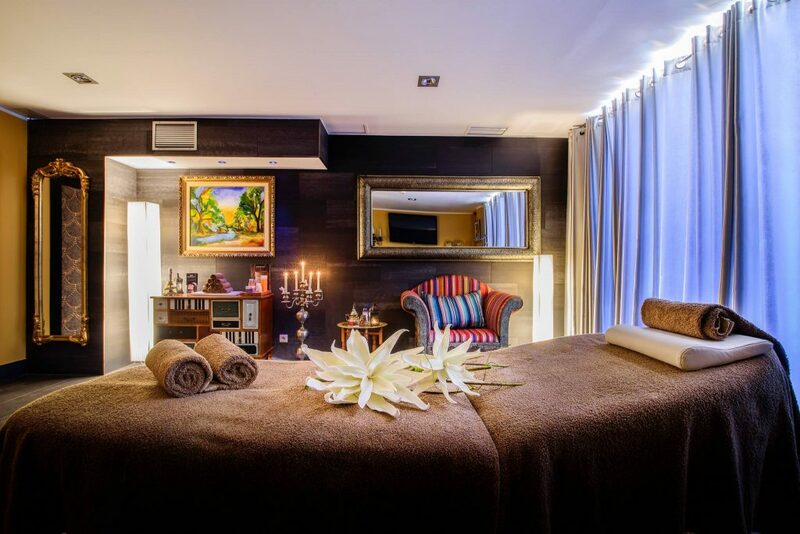 At the spa they will look after your health and beauty from the inside to the outside. Jorge, the inspirational owner, has come up with the genius idea of opening a ‘spa bar’ where one can sip on healthy Gin cocktails such as ‘Forever Young’ or ‘Green Revolution’ whilst eating healthy quiches, salads or bio burgers. As for the spa treatments, I opted for a deep massage, but there are a multitude of treatments for the body and the face too. As a firm believer in detoxing and retoxing, this is the perfect place to re-balance and reset the mind! If staying locally, one can choose the 5-star Relais Chateaux Bela Vista hotel, for its stylish elegance and stunning views of the Atlantic ocean. Make sure you take some time out, in fact quite a bit of time for the stunning food and breezy service. 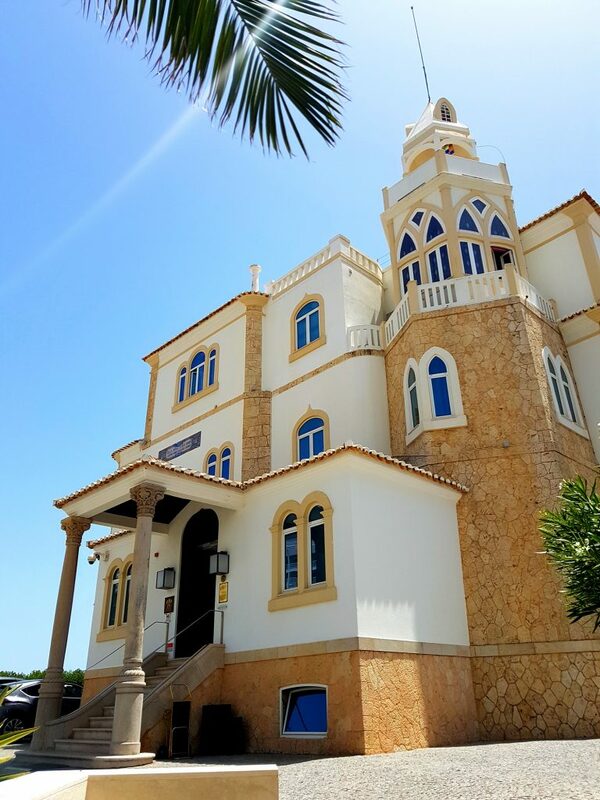 For authentic local cuisine, then go venture and explore the streets of Portimão and discover Restaurante Taberna da Maré. You will find classic local cuisine the way Portimão families have been eating for an eon. 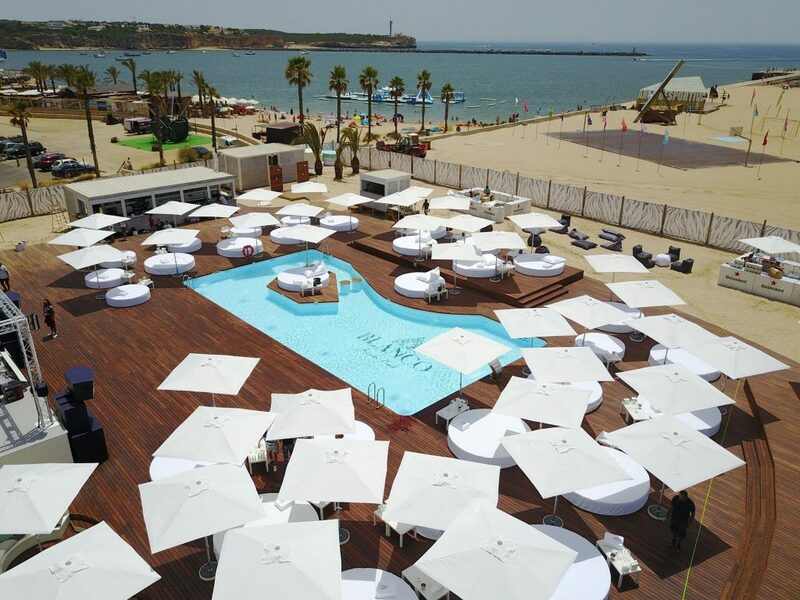 For those wanting to stay further out of town away from the hustle and bustle of downtown Portimão, then check out the Villas D’Agua a 4-star complex of villas, 5 minutes walk from the beach with a fantastic outdoor pool looking out over the ocean and great poolside cocktails.